It all started around 1937 when Kennie Laughlin went to work for Marco Vucovich Radio (refrigeration was a side line at that time). Because it was during the depression years and money was tight, Kennie received an interest in the company in lieu of a paycheck. Marco and Kennie worked as partners in downtown Hanford until 1954 when the partnership dissolved. Marco kept the radio and television repair, and Kennie kept the refrigeration portion. 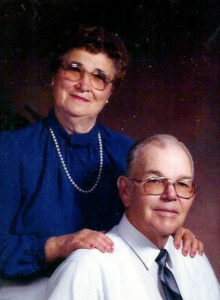 Kennie and his wife, Wilma, moved their business, Kennies Refrigeration and Air Conditioning Service, to their home so Wilma could run the office portion while raising their two daughters, Myrna and Sharon. The office was set up in the kitchen, and Kennie worked out of his truck with the garage as his "shop". Kennie's focus was dairies and home repairs. Right after the war, the work truck needed painting. Like everything else, paint was scarce. In fact, there wasn’t even enough paint around to paint the truck all one color. So, the truck was painted Army surplus green and Army surplus red. Later, Kennie purchased a new truck. He had so many customers ask if he was still in business as they did not see his truck around, that he painted the new truck the green and red. Our company colors are green and red still today. By 1960 Kennie had a son-in-law, Tom Stout, that he taught the trade. Tom and Myrna (Kennie's oldest daughter) had three children, Stephen (Steve), Ken, and Karen. When Steve was ten years old he rode along with his grandpa. It wasn’t long before he picked up the mechanics of the industry and was working side by side with his grandpa. There are many stories of how during the summer Steve’s grandma would drive him to the jobs. This would generate more than a couple of strange looks from customers when he was only fifteen and there to repair their $3,000.00 air conditioning system. Kennie had health problems through the years, and Tom passed away in 1989. In 1990, Kennie’s grandson Steve and his wife Karen, purchased the business. They continued to work out of his grandparents’ home until he saw the need for some help. 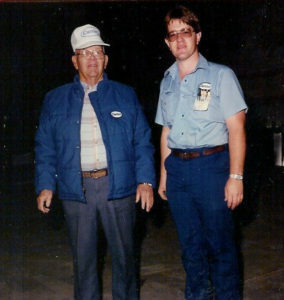 Steve hired his first two employees, one being his brother, Ken, to help with installations and sheet metal (Ken is still here today). Steve also was able to purchase a sheet metal shop. With this purchase, and the hiring of the employees, Steve decided to move the business from his grandparents' home. He built his shop not far from the original site. Steve’s sister, Karen joined the staff in 1996. In 1999, Kennies Refrigeration incorporated and became Kennies Indoor Comfort Specialists, Inc. Kennie passed away in 2001. Kennies Indoor Comfort Specialists, Inc. has continued to grow, and in May 2004 moved to a larger facility on Hanford-Armona Road. Steve's hope is that the company founded by his grandfather will always be a family oriented business. Our focus now is on your total indoor comfort for which we have added many new services.